Enjoy a moment of ecstasy with Ecstasy Chocolate Truffles. Made with our proprietary blend of fine European chocolate. 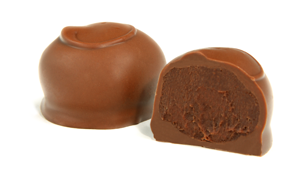 Ecstasy Truffles have a lighter center than the typical American style chocolate truffles. They are more complex and subtly flavored. 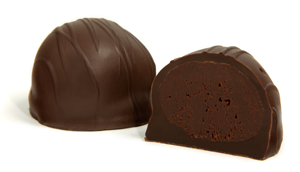 All of our handmade Ecstasy Truffles have a coating of outstanding European chocolate. Our America’s Best Truffles were rated in the America’s Best series by the Los Angeles Times. Made in the American style and enrobed with blends of premium American chocolates. Our America’s Best truffles have a a firmer center and more traditional flavors than our Ecstasy Truffles. Made with fresh cream and no preservatives. We recommend enjoying all of our handmade artisan chocolate truffles within 10 days of purchase. 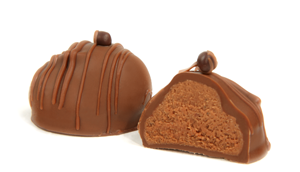 Click the plus sign to add a chocolate truffle to your box. When your assortment is complete click the ‘add to cart’ button. Mouse over for product descriptions. 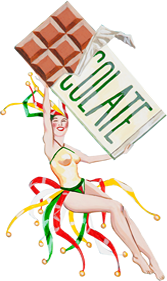 Allergen Notice: Our chocolates are produced using equipment that processes dairy, soy, wheat, tree nuts and peanuts. Mobile users scroll down to see flavors. Short press for product descriptions. Press plus sign to add product to box.